Read an interview with the author. Listen to an audio interview. 4 Who Is the Industrial Scientist? 5 Who Is the Industrial Scientist? "Shapin here examines science as a vocation. The practice of science, once a calling from God or, perhaps, a mere amateur’s hobby, has come into its own as a profession, particularly following World War II. 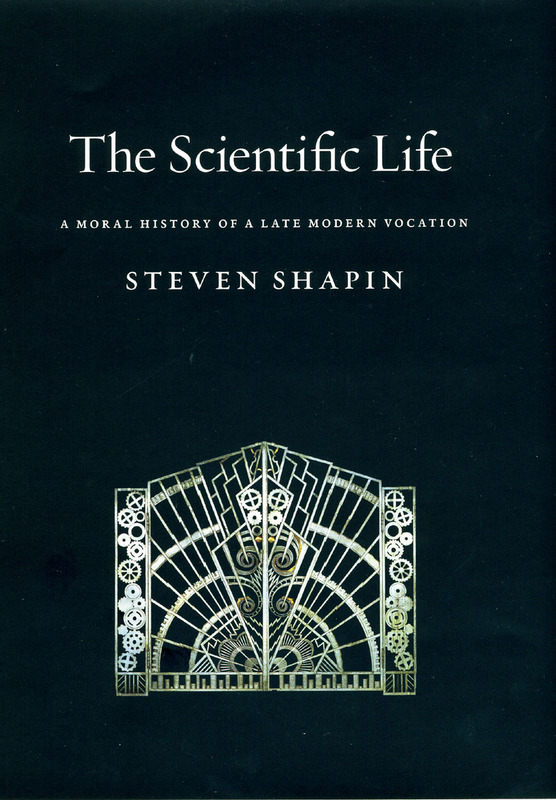 Shapin’s sociological history documents this vocational evolution as he raises the following questions: How does the practice and authority of science relate to the virtues of its practitioners? Is academic science superior to the commercialization of science? How does industry compete for the best minds in science? Can the practice of scientific research be organized, team driven, and accountable to investors? Shapin addresses all these questions without weighing in with his personal opinions on the topic. The result is a thought-provoking challenge to the assumptions of scientific objectivity by science’s practitioners and an acknowledgment of just how important the morality of scientists may be in the advancement and authority of knowledge." "The Scientific Life provokes us to discard worn-out understandings that science outside universities is necessarily aberrant and that the credibility of scientific knowledge no longer depends upon moral judgments about the experts who make reality claims. In that task, the book succeeds masterfully." "A stunning antidote to the naive portraits of how science is or should be done." "Shapin has produced a work of exceptional originality, power and significance. He has also given readers much to chew over in regard to contemporary developments and perennial issues. . . . Shapin tells this story exceedingly well, framing its episodes richly and developing them through vivid depictions of representative figures, texts, incidents and anecdotes." "Remarkably rich in detail and revelation. . . . Shapin may not be doing a conventional history of the ’scientific life,’ but what he has done is both novel and provocative." "An evocative look at both the history of sociology of science and of lives in science."